Visit Your Family Dentist in Brampton Before School Begins! Before you know it, your child will be getting on the bus and starting their next year of learning and making new friends. However, participating in class and spending time in after-school activities may prove difficult if they can’t stop thinking about tooth pain. 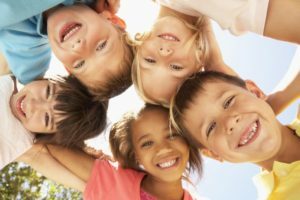 Furthermore, children are at much higher risk of developing tooth problems, so visiting a family dentist in Brampton can make a big difference. Consider the following benefits you and your child can reap by taking care of their biannual visit now rather than later! According to the Canadian Dental Association, people should be seeing their dentist at least once every six months. Because dentists always try to take a preventive approach to oral care, they need to see your child at least twice a year to ensure their development is on track, not just catch dental disease. Fortunately, because of this time frame, it becomes much easier to schedule the second appointment when you initially do so in July or August. By scheduling now, you can align their second visit in late December or early January, which is approximately six months later. The office is typically far busier during the weekends and school year, so scheduling during this period will only give you and your child time to ask questions and handle any issues, especially if a second appointment is necessary. Mastering oral care is not easy at a young age and your child is going to need some guidance to ensure they keep their mouth in good condition. They’ll need to learn proper technique so they’re brushing as thorough as possible. They’ll need to know the most effective way to floss without damaging their enamel or gums in the process. They may need advice on improving their at-home care from a dentist, which is always easier to learn at a young impressionable age. Additionally, certain people are more susceptible to decay than others. If the dentist determines this, they can provide fluoride treatments and dental sealants. These are both intended to aid and protect teeth while your child continues honing their technique. You’re probably aware that your child is watching everything that you do. In their minds, they want to be just like you. If they’ve ever been difficult when it’s time to go to the dentist, consider having your appointments occur at the same time as theirs. Doing this shows how seriously you take your oral health and if your child understands this, they’ll be more inclined to accept that fact into their values of self-care. Eventually, they’re going to need to start seeing the dentist on their own, so why not make that process easier by proving that there’s no reason to be afraid? Getting your child scheduled before school starts is easy, especially when the practice you visit is open 6 days a week, including Saturday. Schedule an appointment with a children’s dentist in Brampton to keep your child protected! Dr. Vince Fava earned his DDS degree from the University of Toronto. He loves teaching children about proper at-home habits and making them feel comfortable during their first visit. To learn more about his practice or child dental services, you can contact him through his website. Comments Off on Visit Your Family Dentist in Brampton Before School Begins!